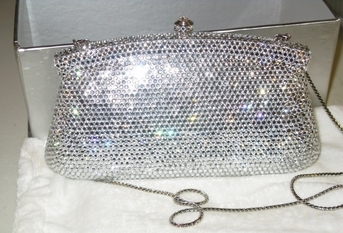 BREATHTAKING Elegant Swarovski Crystal Evening bag has a solid metal frame that is fully covered with CLEAR DIAMOND GENUINE SWAROVSKI CRYSTALS. 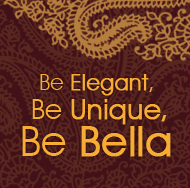 Each crystal is hand set by a skilled artisan; making each design truly a work of art.!! Stunning decorative Trim - Superior quality craftsmanship - fully lined in genuine leather - push button snap top closure - spare crystals included - keepsake box included.